← A Trick to Get Rid of Pesky Gulls? When Fishing with Kids, What’s Required? 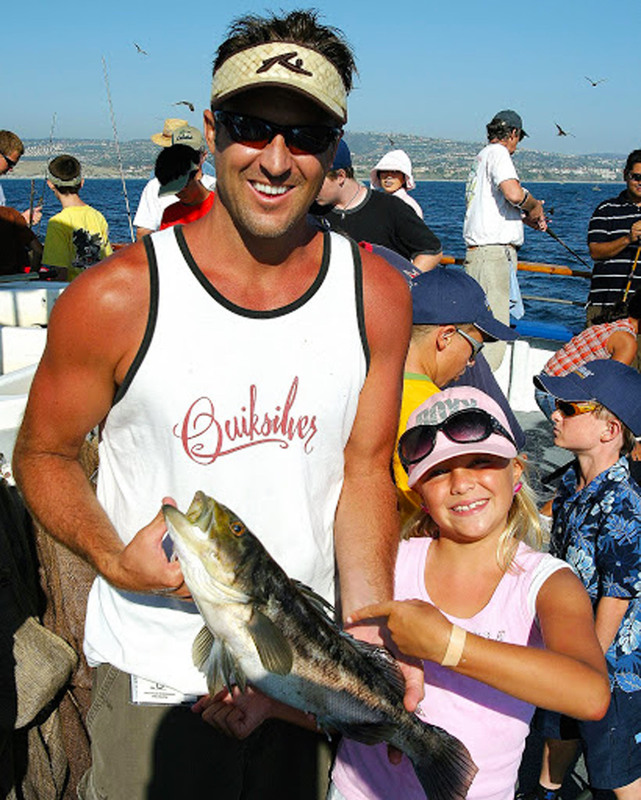 Answer: A child or young adult 15 years of age or younger does not need a fishing license to catch their own limit of fish. They also do not need to put their catches under an adult guardian’s license limit. All of the same regulations apply for them except the requirement to purchase a fishing license. However, if fishing for sturgeon, abalone, lobster or steelhead (which all need additional report cards), then they will have to purchase those. Answer: According to Department of Fish and Game (DFG) Wild Pig Program Manager Marc Kenyon, “I am asked this same question all the time!” Before going into the field, Kenyon suggests you first read the California Mammal Hunting Regulations, especially sections 352-355 and 368 (http://www.fgc.ca.gov/regulations/current/mammalregs.aspx). A good reference publication is DFG’s “Guide to Hunting Wild Pigs in California.” It details some of the finer points of hunting pigs and provides hunting information for public lands. To download, go to: https://nrm.dfg.ca.gov/FileHandler.ashx?DocumentID=23231. DFG also offers some special pig hunts, some of which are on private lands (see www.dfg.ca.gov/wildlife/hunting/pig/specialhunts.html). In addition, commercial hunting club information can be found at: https://nrm.dfg.ca.gov/FileHandler.ashx?DocumentID=38624&inline=true. Lastly, you may benefit from attending an advanced pig hunting education clinic. These clinics take basic hunter education to the next level by having experienced hunters teach advanced techniques, pig behavior, hunter ethics and more. They also provide a discussion of places to go and a demonstration of cleaning and butchering a pig. More information and a schedule of upcoming classes are available at: http://www.dfg.ca.gov/huntered/advanced/. Answer: The law does require that abalone remain attached to the shell until ready for immediate consumption. If you freeze the entire abalone whole and intact until ready for immediate consumption, the flesh and the guts are both preserved by freezing and should offer no health risks. California or Arizona license required? Question: I’m going camping in Buckskin Mountain State Park in Arizona. Answer: Your California fishing license is only valid when fishing from shore on the California side of the Colorado River. In order to fish from a boat in the Colorado River, you must have both a California sport fishing license and an Arizona special use stamp or validation. The required Colorado river stamp must be purchased through a California DFG license agent in the area. Arizona licensees must buy their stamps through Arizona Game and Fish Department license agents. For more information, please review the 2012-2013 Freshwater Sportfishing Regulation booklet (page 7) available wherever sportfishing licenses are sold or online at www.dfg.ca.gov/regulations/FreshFish-Mar2012/. This entry was posted in Big Game, Fisheries Management, Fishing, Licensing/Permits/Stamps/Report Cards, Nuisance Animals & Pests, Uncategorized, Wild Pigs and tagged abalone, big game hunting, Licenses, nuisance wildlife, ocean fishing, regulations. Bookmark the permalink.